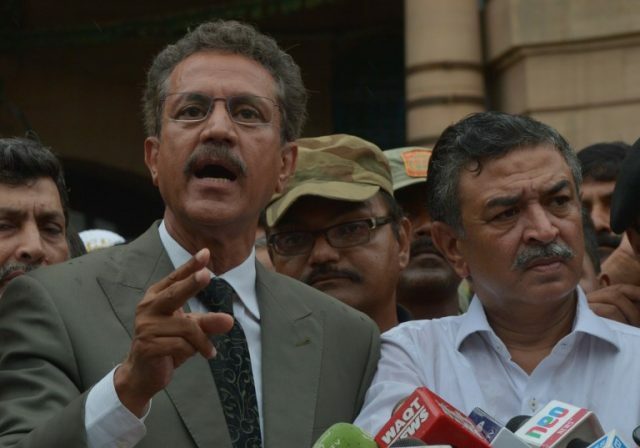 A court indicted Karachi’s mayor, Wasim Akhtar, and other suspects in a May 12 violence case on Tuesday. Akhtar, a leader of the Muttahida Qaumi Movement – Pakistan, and the other accused appeared before the anti-terrorism court. The court indicted them in one case relating to the May 12 violence. All the suspects pleaded not guilty. The court summoned witnesses to record their statements on the next hearing. Due to absence of counsels, the court adjourned the hearing of three more May 12 violence cases till June 23. Akhtar and 19 other suspects are on bail in the cases. The court has declared 16 suspects absconding. Around 50 people were killed and hundreds injured in clashes between rival political parties in Karachi on May 12, 2007. Akhtar was elected mayor of Karachi in August 2016 while he was in jail on judicial remand in various cases. He obtained bail in all the cases.